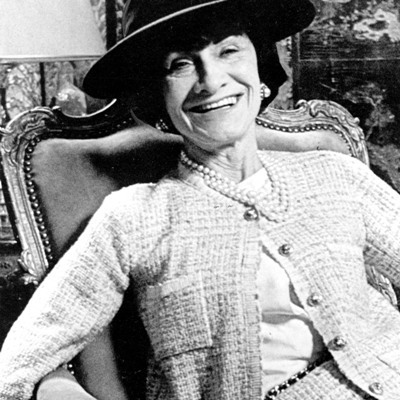 Fashion designer extraordinaire, Coco Chanel, have popularized numerous iconic pieces that have withstood the test of time and have remained closet staples. Stylish women all over the world coveted the fashion classics that are not only physically flattering, but exudes elegance and luxury as well. Born into poverty, Chanel triumphed adversities and conquered the world through her fashion ingenuity. Although I do not approve of her choice in men and complicated love life, I, however, revere her for being the fashion genius that she was. She knew what women really want and need in terms of true style and comfort. "The designers have forgotten that there are women inside the dresses. Most women dress for men and want to be admired. But they must also be able to move, to get into a car without bursting their seams! Clothes must have a natural shape", Chanel said. Indeed! The Little Black Dress created by Coco Chanel back in 1926 has been dubbed by American Vogue as the "Ford" of fashion due to its simplicity and timeless look much like Henry Ford's car models. I think that it is a bit atrocious to be a woman and not own atleast one LBD. The LBD is my default piece of clothing on days when I'm bugged by indolence. It's impossible to not look good in one. 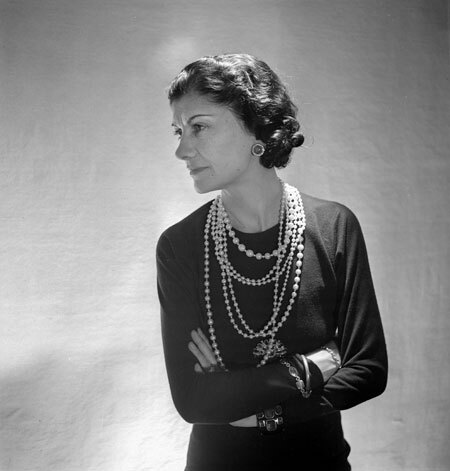 Strands of artificial pearl necklaces frequently adorned Chanel's neck. It was her jewelry of choice. Pearls are simple yet very much attractive. They don't command too much attention unlike diamonds. This famous creation by Chanel is both stylish and comfortable. The ingenuity in this piece of clothing is hidden behind the silk lining. A chain is stitched on the hem of the tweed jacket to retain its form when worn. Genius! The iconic two-tone footwear has become a classic since its debut more than five decades ago. The original color (beige) creates an illusion of elongated legs. It looks like a shoe dipped is delicious dark chocolate to me. Carried by stylish women all over the world, the Chanel quilted bag created in February 1955 (hence the name) has become not just an iconic accessory, but a status symbol as well. There is a "secret" compartment inside the front flap where Mademoiselle Chanel is rumored to have stored her love letters.